(a) Remove the front floor footrest from the floor. (c) Separate the instrument panel junction block assy. 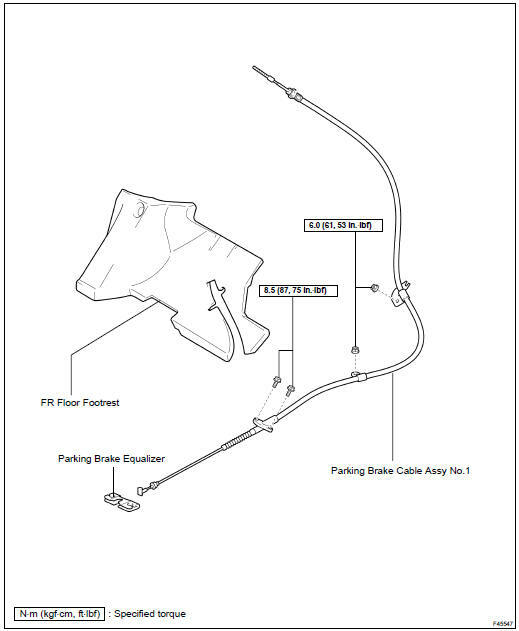 (d) Release the parking brake pedal to the original position. 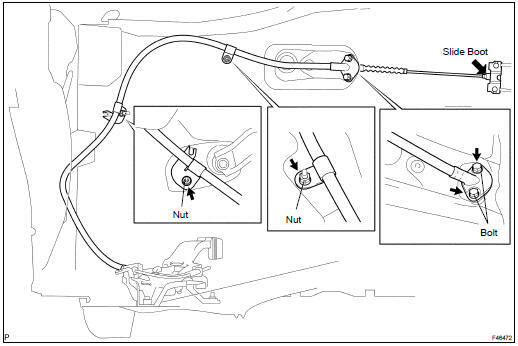 (e) Remove the 2 bolts and nuts, and separate the parking brake cable assy No.1 from the floor. 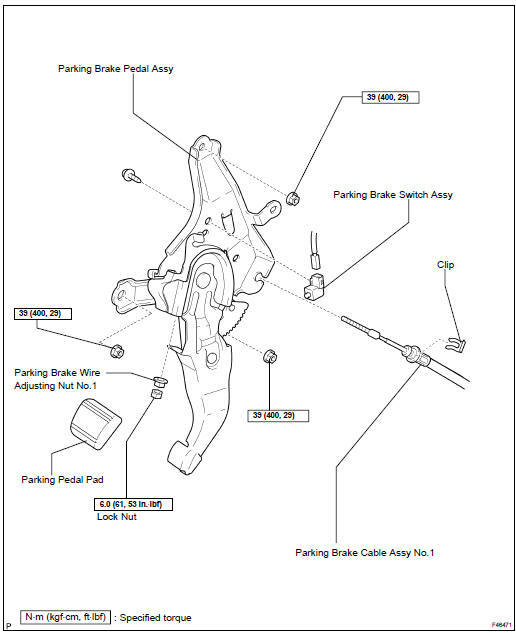 (f) Remove the parking brake cable assy No.1 from the parking brake equalizer. (g) Disconnect the parking brake switch connector. (h) Remove the 3 nuts and separate the instrument panel junction block assy w/ bracket from the body. (i) Remove the 3 nuts and parking brake control pedal assy. (a) Remove the screw and parking brake switch assy. (a) Remove the parking pedal pad. (a) Install the parking pedal pad. (a) Install the parking brake switch assy with the screw. (a) Install the parking brake control pedal assy with the 3 nuts. (c) Connect the instrument panel junction block assy w/ bracket with the 3 nuts. (d) Attach the parking brake cable assy No.1 to the parking brake equalizer and slide boot stopper of No.1 cable should be inserted into groove of T-Metal fitting. 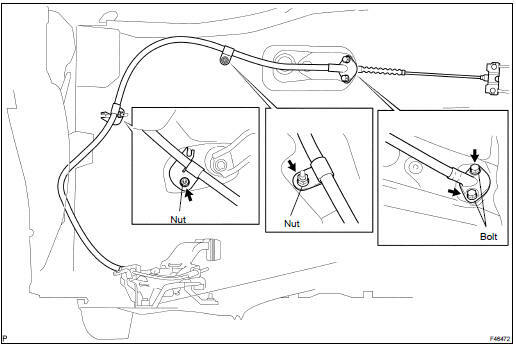 (e) Install the parking brake cable assy No.1 with the 2 bolts and 2 nuts. (f) Install the instrument panel junction block assy with the 2 nuts. (a) Install the front floor footrest on the floor.